PEARL HARBOR, Hawaii --- The Air Force announced the temporary relocation of personnel and F-22s from the 95th Fighter Squadron, Tyndall Air Force Base, Florida, to Joint Base (JB) Pearl Harbor-Hickam, Hawaii, and JB Elmendorf-Richardson, Alaska, Nov. 2, 2018. 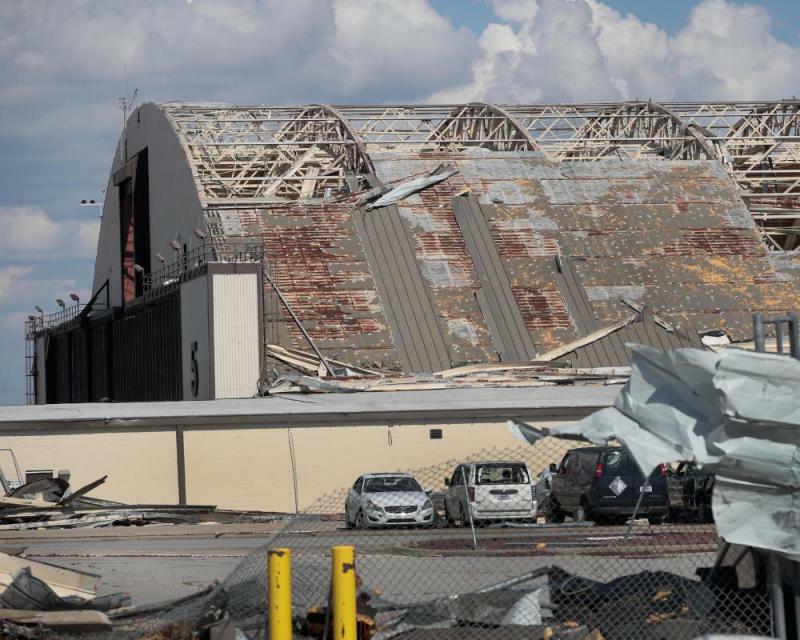 The unit assets are being reassigned as Tyndall begins its long-term recovery following the devastation caused by Hurricane Michael, which struck the base in early October 2018. • The 601st Air Force Operations Center will resume operations no later than Jan. 1, 2019. • The 337th Air Control Squadron will resume air battle manager training at a reduced rate by Jan. 1, 2019. A full production rate is expected no later than summer 2019. • 53rd Air-to-Air Weapons Evaluation Group will remain at Tyndall AFB. • The Air Force Legal Operations Agency will continue their mission from a usable facility at Tyndall AFB. • The 823rd Red Horse Squadron, Detachment 1, will continue their mission at Tyndall AFB. • The Air Force Civil Engineer Center will continue their mission at Tyndall AFB. • The 43rd and 2nd Fighter Squadrons’ F-22 Fighter Training and T-38 Adversary Training Units will relocate operations to Eglin AFB. Academic and simulator facilities at Tyndall AFB will be used to support training requirements, as well as Tyndall AFB’s surviving low observable maintenance facilities. • The 372nd Training Squadron, Detachment 4, will relocate with the F-22 Fighter Training Units to Eglin AFB. • Personnel and F-22s from the 95th Fighter Squadron will relocate to Joint Base Langley-Eustis, Virginia; Joint Base Elmendorf-Richardson, Alaska; and JB Pearl Harbor-Hickam, Hawaii. • The Noncommissioned Officer Academy will temporarily disperse across four locations: McGhee-Tyson Air National Guard Base, Tennessee; Maxwell AFB - Gunter Annex, Alabama; Keesler AFB, Mississippi; and Sheppard AFB, Texas.